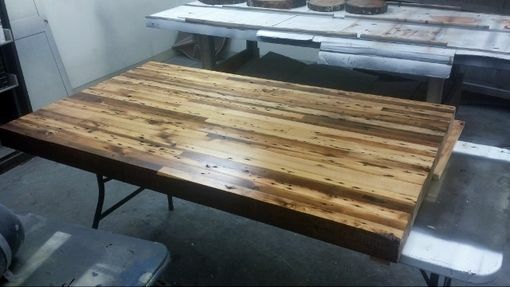 This is a table and base we built at American Pride Woodworking. 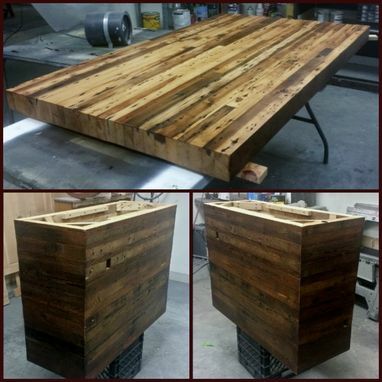 This is definitely my favorite reclaimed project yet. 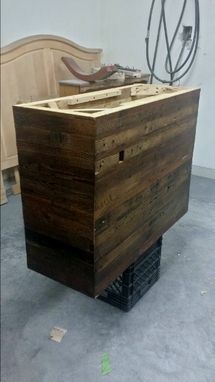 All of the materials were salvaged from Seymour's Ice Cream factory in Dorchester MA which cesaed operation in the 1980's and was located in an area in the Southeast corner of Dorchester known as Port Norfolk. 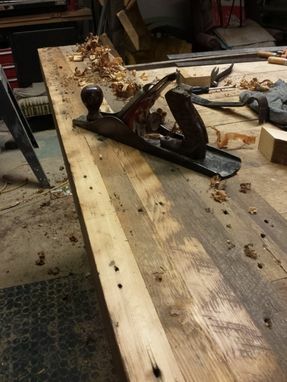 In the mid 18th century the building housed The Albert T. Stearns Lumber Company who more than likely cut and milled all of the lumber used for this project. 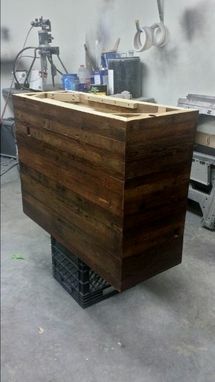 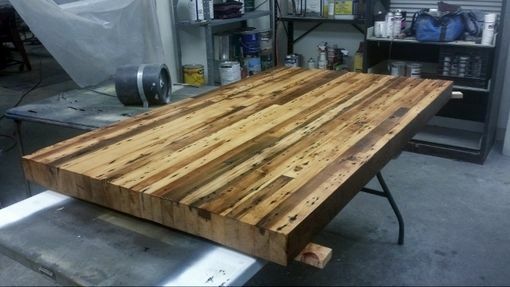 The top is a 3" butcher block style top that will comfortably sit 6 at 36" X 60".